in a pasta salad coated in creamy ranch dressing. Try this mix in the recipe! -Marinate chicken breasts in steak sauce for 30 - 60 minutes. -Grill until cooked through, then chop into bite-size pieces. -In a large pot of boiling water, add the bouillon cubes and cook pasta until al dente. Drain and rinse under cold water. -In a large bowl, combine chicken, pasta, onion, avocados, and tomatoes. -Add salad dressing, mix and refrigerate until chilled. 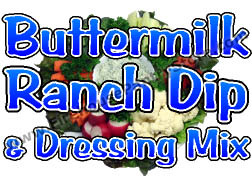 -Stir in additional salad dressing when ready to serve, if desired. Make It A Meal: Serve with Buttermilk Biscuits. I have passed this recipe on... and have received rave reviews! I sent this recipe to my sister and she has praised it to the skies several times.. served to dinner guests and she got rave reviews. I'm gona try it!